It’s been a cloudy week all week and today is no different. We must go through about 2 more days of the cold and cloudy temperatures, however as we head into our weekend, the temperatures are going to get a bit warmer. If you’re planning on attending G-Day in Athens on Saturday, make sure to bring a light jacket as there could be a quick sprinkle, but the high for Saturday is 69 degrees with a few clouds. The good news is, come Sunday the clouds are gone and the seventy degree temperatures are to return, so this weekend should be a clear and warm one. 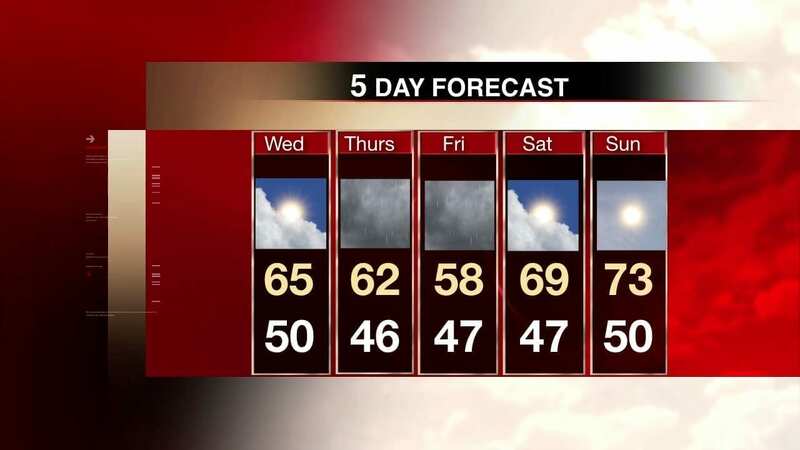 Take a look at our 5 day forecast below. Reporter Nikki Weldon with your weather update on February 14, 2018. Weather Reporter Tatinana Gusin gives a one-minute weather update for February 1st 2018.